To best understand the health benefits of Kangen Water, the machine which is installed at Cooperstown for your use, please watch these informative videos. There, you will find demonstrations of the Kangen Machine’s capabilities and you can also register to receive a free e-book about Kangen water..
Kangen Water is often prescribed by Dr. Cooper as part of the individualized treatment plan he develops for each patient. Alkaline Water makes for an unsuitable environment for diseases to thrive. Micro-Clustering of molecules provides quick hydration of our tissues and cells, reaching the brain in 60 seconds and the skin in 10 minutes. Water carries nutrients into the cells and waste away from the cells. If you would like to see how a Kangen Machine would function in your own home, Cooperstown has a special Home Trial Machine that we will set up in your home for up to two weeks. We will do this at no charge, with the purpose of allowing you to find out the true benefits for your family! If it turns out that you really like the machine, then you can purchase one of your own. 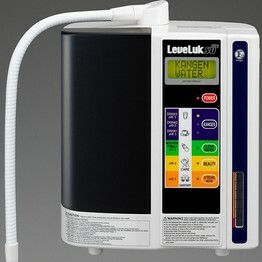 The Kangen SD501C Water Ionizer is a medical grade piece of equipment and expected to run daily for up to 20 years!